Spoiler warning for those who haven’t seen The Walking Dead’s Season 5 finale ”Conquer”. 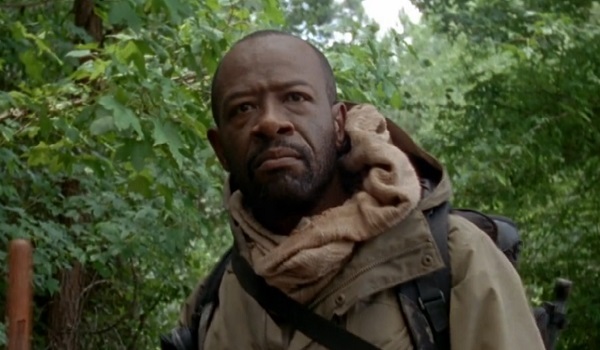 For fans of The Walking Dead, few aspects of the show inspire as much curiosity as the existence of Morgan Jones, the sometimes-recurring character played by Lennie James. Prior to Season 5, the last time we’d seen Rick’s first post-apocalypse compadre was back in Season 3’s “Clear,” in which he was clearly mentally unstable. But as this season’s post-credit sequences and finale have shown us, he’s not only of sound mind again, but also some kind of a Zen master with keen staff-wielding skills. So what the hell happened to him between then and now? James shared an interesting bit of insight with EW about what happened to him after he was rambling about people “wearing dead people’s faces” in “Clear.” When asked how showrunner Scott Gimple was informing his performance, here’s what James said. He told me as much as I asked for and I wanted, and as much as I felt that I needed. So he explained in very broad strokes—because at the moment they’re still part of the mythology of the next season—so what he told me was that Morgan meets a particular person who had an effect on him and he explained to me in very broad terms the specifics of that meeting. 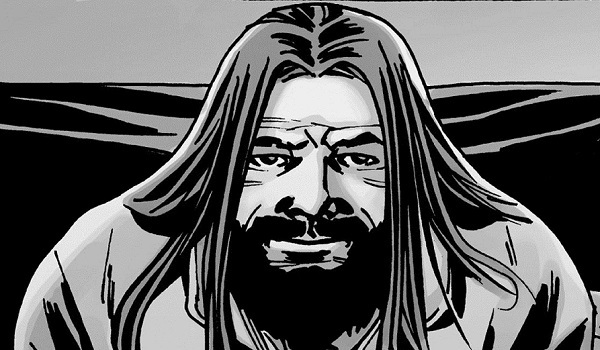 My best guess, assuming Gimple and Robert Kirkman didn’t just completely fabricate a new character, would be the comic’s Paul Morgan, commonly referred to as Jesus. Religious symbolism aside, Jesus is known for his stellar hand-to-hand combat, which would explain how Morgan’s weapons skills are so sharp, as evidenced by his first meeting with the Wolves. Jesus’ other main traits include his tactical intelligence and wisdom, which makes him the perfect fit for bringing Morgan down to a level of patience and understanding, something that Rick’s violence-fueled gang couldn’t possibly have taught him. In the comics, Jesus initially lives with the Hilltop County community, a group that we’ll certainly be seeing on TV in the next season or two. It would be interesting for the show to introduce him in this manner, potentially linking Morgan to the future of the show as well as the past. (Assuming we continue to see Morgan, that is, as James could only confirm that he’d be in at least one Season 6 episode.) But James saying that Morgan’s path to sanity is part of the future mythology of the show has me feeling good about Jesus’ chances. In true Walking Dead fashion, we presumably won’t actually get into the firm details of Morgan’s story until Season 6, if it even gets brought up then. But at least we have a firm notion to speculate on, which is something that hasn’t been afforded to Morgan much in the past. It’s going to be a long wait until The Walking Dead returns this fall.